Now that the gardening season has come to an end, it’s time to tuck your tools away for the winter. 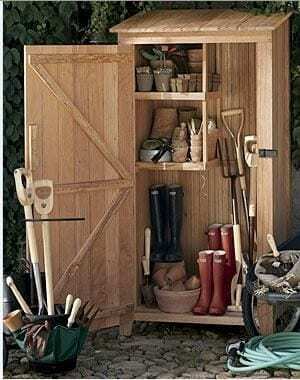 Hoes, shovels and other common garden tools often have wooden handles that can deteriorate over time. Storing tools in a protected location can slow that process, but normal use will still expose the tools to the elements. The end of the season is a good time to clean up and protect the handles so they will last for many years. Weathering can raise the grain of wood, resulting in splinters. A light sanding can smooth the handle. Follow that with a light application of wood preservative, linseed oil or polyurethane to protect the wood. Wipe off any excess after a few minutes as oil-based products can attract dirt. Cleaning any dirt off metal parts and coating with a light application of oil can prevent rust. Good tools are expensive. A few minutes of care after the season is over can help preserve them for many years to come.